This is really great thank you soooooo much, I do want to ask if there is a simple way to change some values to the U.S. market? I tried but it is protected and it will take me forever if I even could that is. If not still thank you for the awsome work and sharing it so freely with all! Thanks for the information you are sharing. I appreciate it a lot. I hope more electrical practitioners will subscribe and so your community will expand.Special thanks to Mr. Jignesh Parmar for his very useful softwares.Is there a possibility that you could hook me us up so that I could also learn from him in terms of programming?I have zero background whatsoever. Maybe he can help me become also a developer. This is a crappy website. Too busy. Too many false starts. Too much crap. Poorly organized. That’s very nice of you Larry. Thank you for stopping by. Larry! Rather than criticizing, propose solutions. To err is part of every human. Edvard is doing a great job. 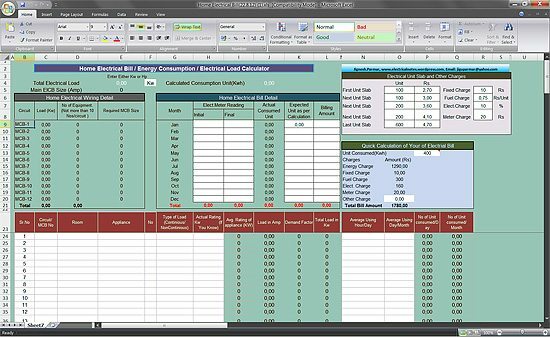 why is the spread sheet calculating amperes for three phase load.. ie. dividing by root 3.. when there is no need as the load is single phase.. please verify.. 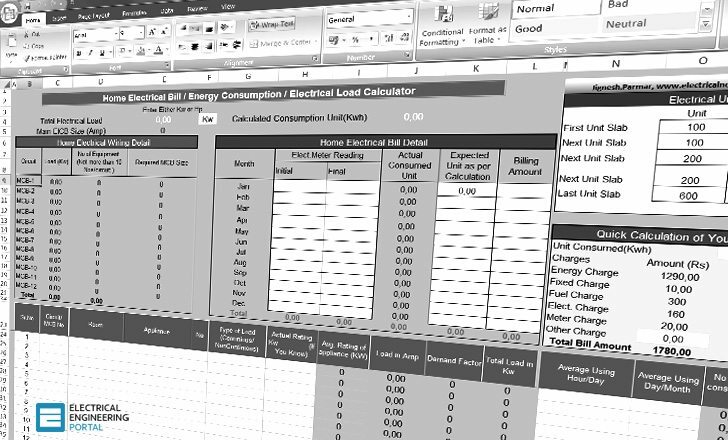 I hope to find all the technical articles concerning loud calculations of electrical home or big premises design in one folder to download. Yeap , needed it so much :( ! it requires password the cells are protected. Can you send me the password PLEASE!